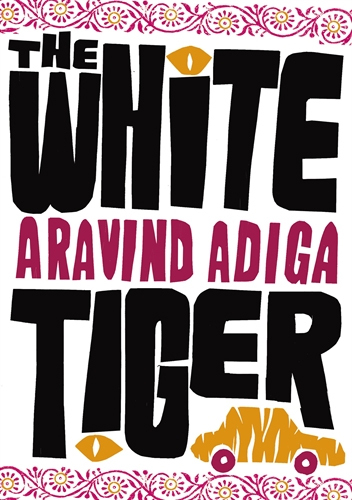 The White Tiger by Aravind Adiga is the tale of two 'Indias'. One is downtrodden, poor, illiterate and neck deep into slavery and darkness and the other one - effluent, educated, modern and rich. The story in the novel revolves round the life of Balram Halwai akka Munna akka 'The White Tiger' who tells his story in a series of seven letters which he writes to Mr. Premier, The President of China who is making a visit to India to understand the secret behind the success of Indian entreprenuers. In these letters he tells his rags-to-riches story, how he fred himself from the clutches of poverty and slavery and set himself up as an entreprenuer in Bangalore, the silicon valley of India. Born in a village in the dark heart of India, Balram is the son of a rickraw puller. Despite the fact, that he is intelligent, can read and write, Balram is taken out of school to work in a teashop to earn a few bucks for his family. As he crushes coal and wipes table, Balram nutures a dream of geting away from the Darkness and make it big in life. His first chance comes when he gets a job of a driver to a rich family and finally when he makes a move to New Delhi with his master. It is then, in the capital of the country, his re-education begins. He learns that success often involves corruption, cruelty and any successful man must trod and trample the lesser men to make his way to the top. The story is about how circumstances compel an innnocent and loyal person to be filled with hatred and wickedness and even if he knows it is all wrong and immoral, he goes at length justifying his acts by citing, 'Any successful man must spill a little blood on his way top'. The author has dwelled on the widespread corruption that is prevalent in Indian politics, the ever widening gulf between the rich and the poor and how this contrast in the standard of living of the Indian people is making a mockery of 'The Great Indian Democracy' and shaping the future of the country. The novel provides a dark satarical view of modern day life in India. What impressed me most about the novel is not the story but the way the author has narrated it. Every Indian has come across this dark side of the country at some point of time in their life. It is a stark truth about India however hurtful it may be. Even if the politician may brag about the success of Indian democracy, its nuclear power, unity in diversity ,the truth is even today a sizeable population of the country is living below poverty line and cannot even earn their daily bread. Through the character of Balram Halwai, the author has expressed the angst of the down trodden Indians and he has done a great job at it. The book is thought provoking and engaging. I will definately recommend reading it. It is the debut novel of Aravind Adiga and has won the Man Booker Award in 2008. I am yet to read this book!! It is interesting to hear what you have to say bearing in mind it is about India but written for the western world. Thankyou for commenting on my own review of this title. 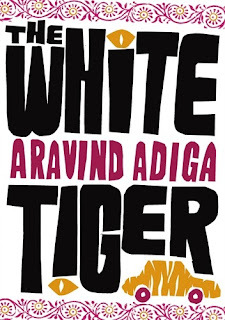 @ Archana: It is a good one.. Do pick it up..
Must be an enjoyable read The White Tiger by Aravind Adiga . loved the way you wrote it. I find your review very genuine and orignal, this book is going in by "to read" list. Thanks Mohit for the good words.. Thanks very much for the well written review, after reading the book myself it is nice to see other views, I myself have written a review. Grab a look if you get chance!